So I have a friend who is currently sailing around the world in a yacht with her husband and young family. I am following their progress avidly on Facebook - they are mid-Atlantic as I write. A small part of me would love to be on that boat, embarking on the adventure of a lifetime, instead of dancing circles in Henley-on-Thames. But it will never be. I don't have the nerve or the skills required. Travelling has its own mystique for me. As the child of ex-pats, I have never felt entirely comfortable living in England. I much prefer the thrill of foreign cultures, even if it's only a week in France! Somehow, I feel more alive when I'm in someone else's country. This summer my husband and I visited Barcelona for a long weekend away sans enfants. It has been a while since we have travelled without the kids in tow and it made quite a difference to our perspective. We had time to look around us and observe other people, rather than looking inward and focusing on the children all the time. On our first night in Barcelona, we shared a table at the Skybar in the Grand Hotel Central with two french students - lovely girls who were just ramping up for a big night out (while we were on our way to bed!) We talked about their studies in Lyon and the amazing club they had visited the other night on the outskirts of the city (afterwards it had taken them an hour to walk barefoot back to their Airbnb). No doubt they thought we were as ancient as the hills beyond our rooftop view, but they chatted happily to us in a mixture of french and english. It felt like a privilege to gain a glimpse into their young lives. I also felt a stab of nostalgia for my own teenage years in Ibiza - particularly one brilliant summer spent with the same friend now ploughing her way through the Atlantic. Other highlights during our weekend away was a tour of the magical Palau de la Musica (thanks to a tip from my husband's niece) and a visit to Gaudi's La Pedrera (Casa Mila). 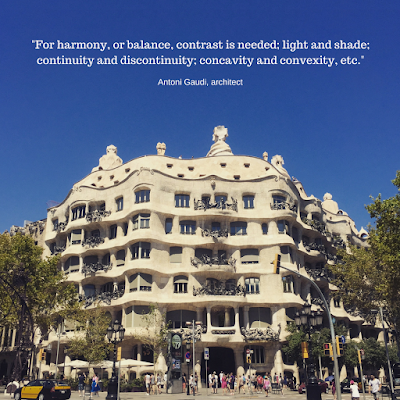 The crazy, organic curves of Gaudi's architecture, combined with obsessive attention to detail, are mind-blowing. It is striking how his work is still as innovative and original today as it was a hundred years ago. To be lifted out of my small life for just a few days to experience other thoughts and ideas was enormously refreshing. There will be no odysseys around the globe for me, but Barcelona in all its sunny splendour provided just the right amount of light and shade to restore my own sense of harmony. 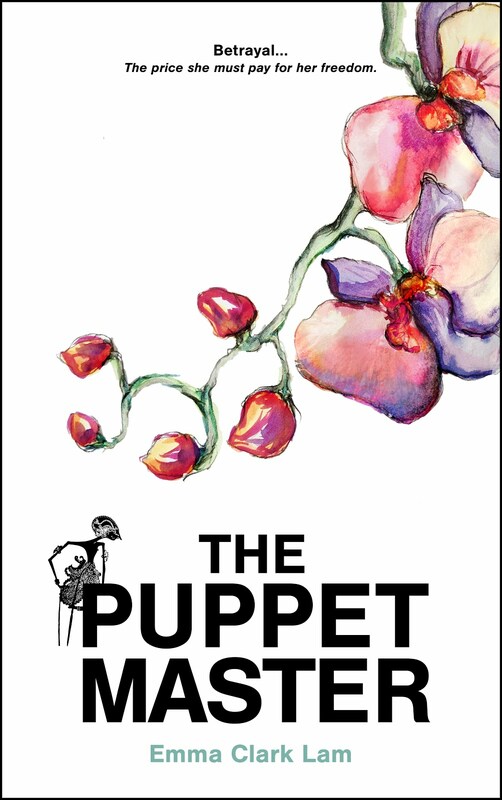 I am very keen to increase the number of reviews I have on my Amazon page for my novel The Puppet Master. If you would like a free copy in exchange for an honest review, please get in touch via the Contact tab above!